I had no idea until today that Cipro could be the cause of my constant tendon pain, all day everyday although I have been off of it for a couple weeks now. Last week I started to have terrible neck, back, arm and shoulder pain so bad that i cant work or do much lifting. I have a burning pain all over...CONSTANT!!! I will go to her again after finding out so much about Cipro. I'm so sorry to hear about your pain and problems! Ugh! I hate Quinolone Antibiotics. The Ciprofloxacin Side Effects can be really nasty and cause a wide variety of different symptoms. It's speculated that the Symptoms of Fibromyalgia may actually be the consequences of taking these antibiotics- at least in a certain percentage of people. Certainly the symptoms are similar: Widespread pain and sleep disorders, among many of the similar symptoms. 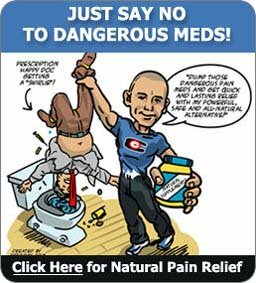 These drugs can be really bad, and I have no doubt that many people diagnosed with 'Fibromyalgia' actually have side effects from the Quinolone Antibiotics. It's really a shame to see so many people suffering from these problems. PS: Don't forget that I wrote the book on Fluoroquinolone Toxicity. 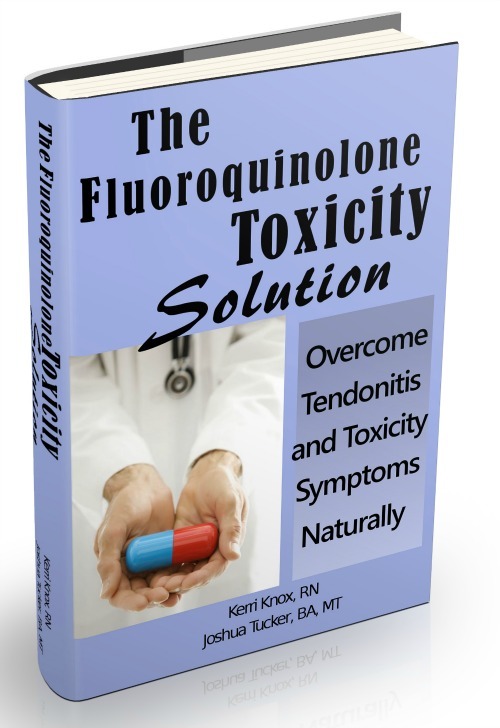 Get The Fluoroquinolone Toxicity Solution today and get the best available program to end your struggle with the symptoms of Fluoroquinolone damage and toxicity today. I been pretty much handicap for almost a Month now,after being on cipro for a UTI . I cant work or bend over. My legs and feet are swollen. 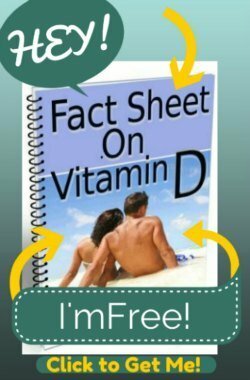 I was diagnosed with fibromyalgia 17 year ago. I had severe pain from shoulders to hands. I took different medication, but had reaction to medication. So, I took naproxen, but it also causes me problem. So, I took Tylenol. So, I learn to deal with pain. Eventually, the pain pretty much disappears. If I got stress out it would mildly appear. On Dec 19, 2017 I had minor surgery and was give cipro through IV. Couple hours later I start to feel the pain in the lower arm. I did take cipro pills before going to bed. Couple hours later the pain got severe. I did contact the surgical center and inform them that it had trigger my fibro. They told if I had any problem to go to ER. I also stop the cipro. I saw the surgeon 3 days later for checkup, I inform him that it triggers my fibromyalgia. He didn’t think that I had reaction to the cipro. 6 days later I saw any doctor for follow-up visit. Inform him of my reaction to cipro. He would put it in the medical records. I also, told the surgery coordinator about my reaction to Cipro. Also told her about the 3 pages warning sheet on the drug. Also, how dangerous the drug is. I am still in pain after 2 weeks.